Substance abuse is a slippery slope and unfortunately, most people consider themselves an “occasional” user in the beginning. What they fail to realize is that’s exactly how it all starts and before you know it, that “occasional” use becomes a regular need. Then there’s the denial stage where the person won’t admit to the addiction and may even become aggressive/defensive if someone calls him/her out on it. The way to lose any kind of addiction lies through acceptance of the fact that you are indeed addicted. To help you understand if that holds true in your case as well, go through the following six signs of dependence and see if you can relate to them. Whether we realize it or not, all things in life that are important to our subconscious are automatically prioritized by our brains. So, the question is, are you prioritizing this particular activity (whatever it may be) above most other things? Is it a part of your lifestyle now? Would you feel like yourself if you went without doing it for a few days? Have you tried going without it for a few consecutive days? Loss of control over your own life is evident when you reach a stage where you know that something is impacting your life with negative consequences, but you still can’t stop. Even when you try, your brain will likely convince you with rationalizations and justifications for your addiction. A “non-addictive” social interaction, in this case, means an event or an occasion where the activity or substance to which a person is hooked remains absent. 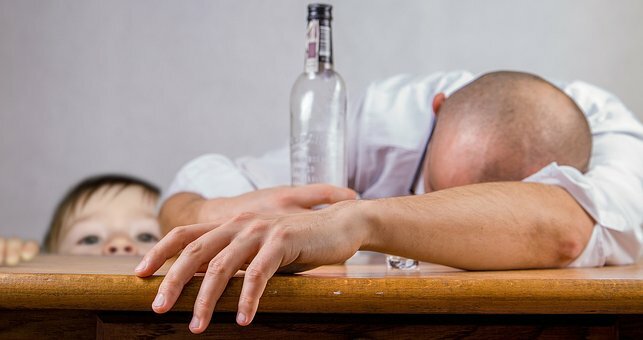 For example, an alcoholic may avoid all parties or events where drinking is not involved, even if it involves something else that he/she used to like a lot once. What happens if you come off it? Do you feel physically and mentally ill? Irritation, anger, sadness, mood swings, etc. are all common psychological impacts of withdrawal, while the physical effects vary greatly, depending on the substance and the physiology of the person concerned. One of the most obvious signs of addiction is dependence. Do you need to partake in order to function? Or maybe it’s a necessary activity to keep you happy. It’s only normal to be happy by doing things that make us happy, but if those things are taking up more time than they should or even worse, leaving significant negative impacts on your body and mind, you are definitely addicted. All addicts make excuses for their unacceptable behavior and as the addiction progresses, the excuses will likely start to make less and less sense. They may choose to live in denial of the situation’s seriousness and any concerned friend, family member or relative will be met with unending excuses every time they try to intervene. Just in case you or anyone close to you is addicted to heroin or any other form of opiate or opioid, it may be worth heading over to treatment experts. One example is ExperienceIbogaine.com who will explain how you can get out of the unhealthy situation with the help of Ibogaine. In case your addiction is unrelated to substance abuse, consult a therapist with experience in the subject for help. It is possible to get out of any addiction, as long as the will and the right help are there.